The tester uses neon lamps to indicate voltage produced on a fence line or by a fence controller. It is designed for a low impedance and standard duty fence controllers. 1. Insert the probe in ground using the insulated grip . 2. Attaching the test hook to wire fence. 3. To avoid electric shock, do not touch any conductor (such as the test hook, the fence). 4. The neon lamps light to indicate the voltage. A. The probe or test hook's connection is loos. B. The fence has electrical problems. 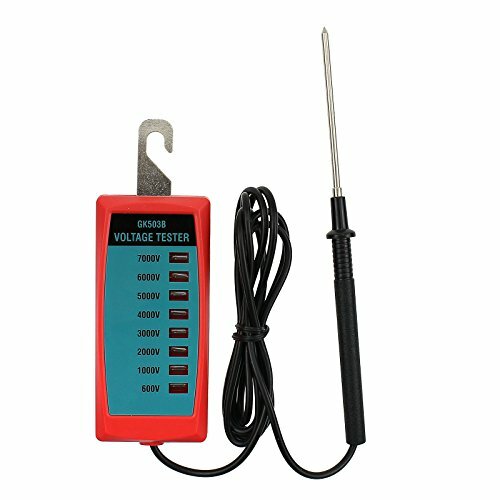 C. The voltage under test is less than 2000V. 6.Remove the test hook from the fence and the probe from ground.